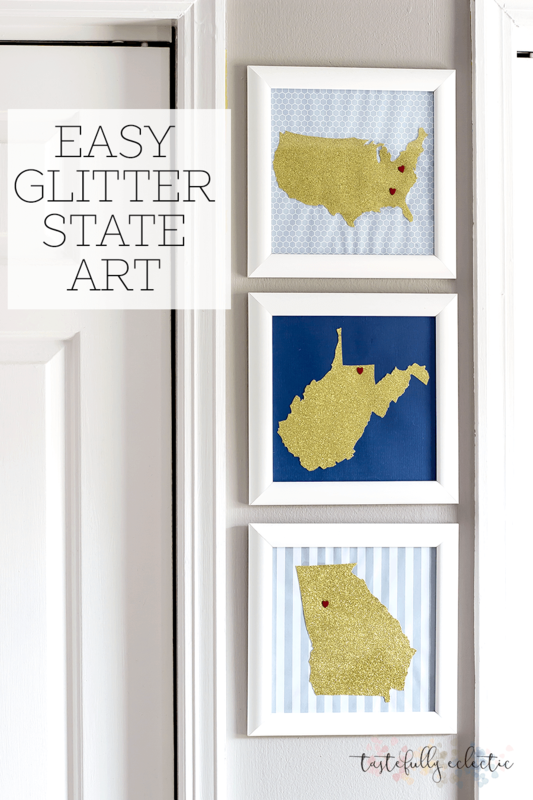 If you’re looking for an easy, cheap, adorable wall art DIY, you HAVE to check out how to make this glitter state wall art! 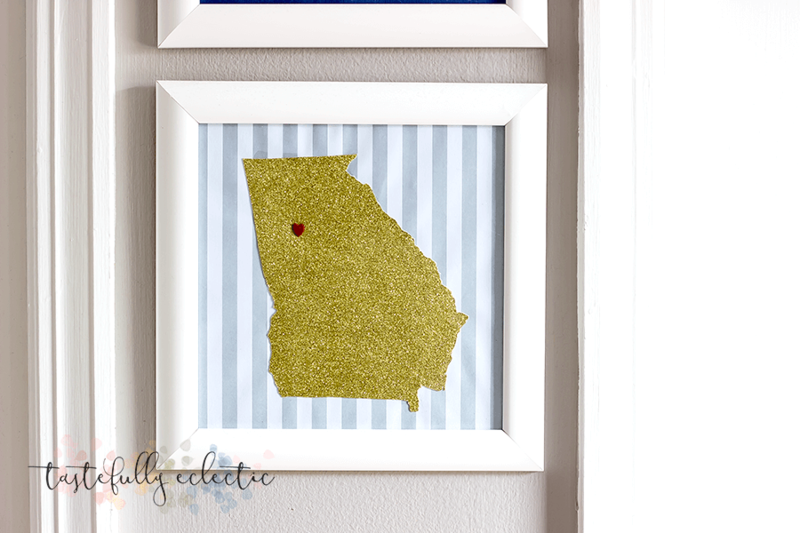 Soon after we moved to Atlanta, I found this glittered states project and LOVED it! Hers requires glue and glitter, though, which is incredibly messy. (But, hey, you do you.) So I used a different method that worked out really well. And it required less clean up. Which is wonderful, because I am the worst about remembering to clean up after myself. nothing. Just do it for fun! 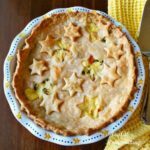 Use the hearts to mark capitals. Can you imagine a whole wall filled with all 50 states? How cool would that be? I realize the big question here is, “What are brads?” They look like those things you use to keep loose leaf paper together. I found them on an endcap near the scrapbook paper at Michael’s. You can use whatever you want, though. You can hot glue heart buttons onto the paper, as well. Print out your state. Cut along the border until the state is totally cut out. If you’re one of the lucky ones who lives in a shapeless state, this will be easy for you. If you live in a state that looks like West Virginia…have patience, friend. It’ll be over soon. Also, you might want to consider using an X-acto knife. You know that state you just cut out? Take that and place it on the back of the glitter paper. Remember to place it upside down so your state doesn’t come out backward. Then trace around it. Once your glitterized paper is ready, cut your regular, glitter-free scrapbook paper down so it fits the frame. The easiest way to do this is to take the glass out of the frame, trace around it, and then cut the scrapbook paper. 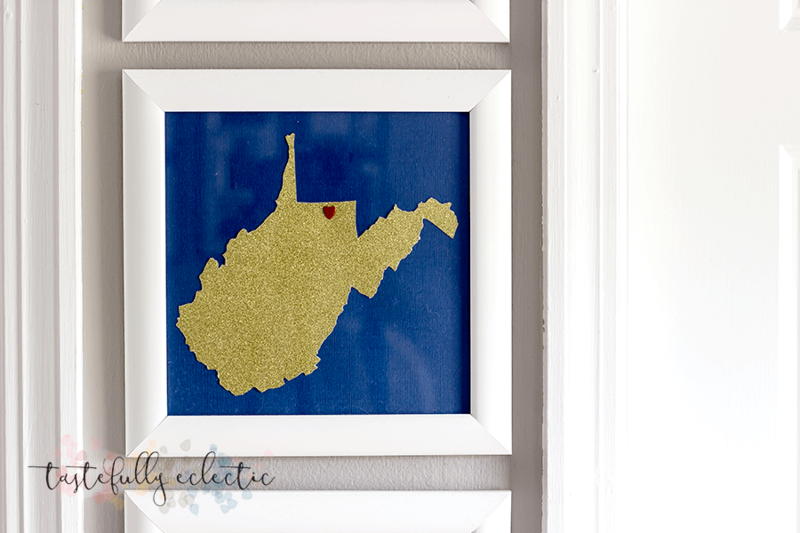 Glue the glittery state to the scrapbook paper. Let that dry. Once it’s all dry, use a needle to poke a hole in the city you want to emphasize. As a guide, I placed the state map (the state you used to trace) on top of my glitter paper. Then I found the city I wanted and poked a hole through both. Now take one of your brads, slide the ends through the hole, and open them so they lay flat against the back of the paper. 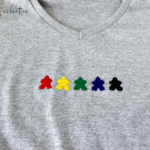 If you’re using heart buttons, I would still poke a small hole through the paper so you know where to put the glue. I didn’t take pictures of the process because I forgot. Mainly. But I have pictures of the end result! I did three pictures. One of the mainland U.S., one of West Virginia (where we’re from), and one of Georgia (where we live now). 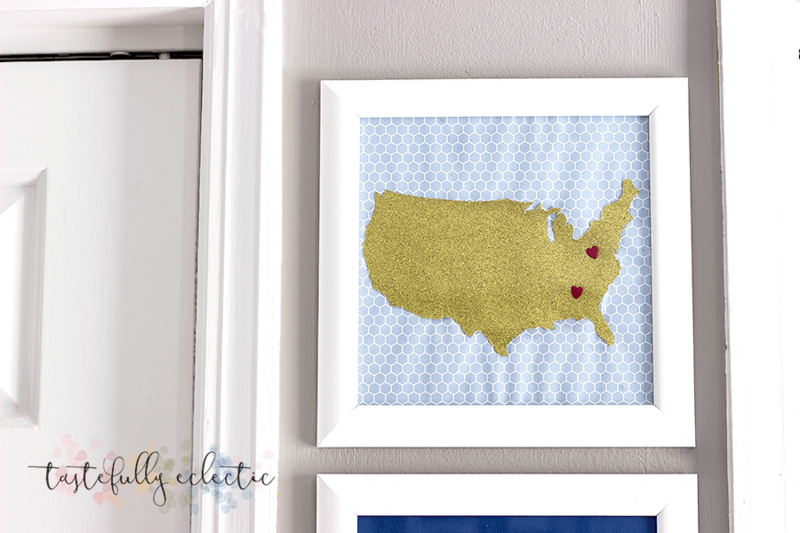 The U.S. map has hearts in the states we’ve lived in since we got married. I did this one because I felt like I needed a third frame. Sorry to Alaska and Hawaii…this map was hard enough to cut out without adding those two. West Virginia was the first I chose, and I went with blue and gold for WVU. It also just so happens that our bedroom accents are in this same shade of blue, so that worked well. I debated on using Georgia’s colors for that one, but I hated the red and black and I wanted it all to match. So I decided to stick with the gold in all of the cut outs and then choose a neutral for Georgia. I really liked the gray stripes, so I went with that. I did the U.S. later. 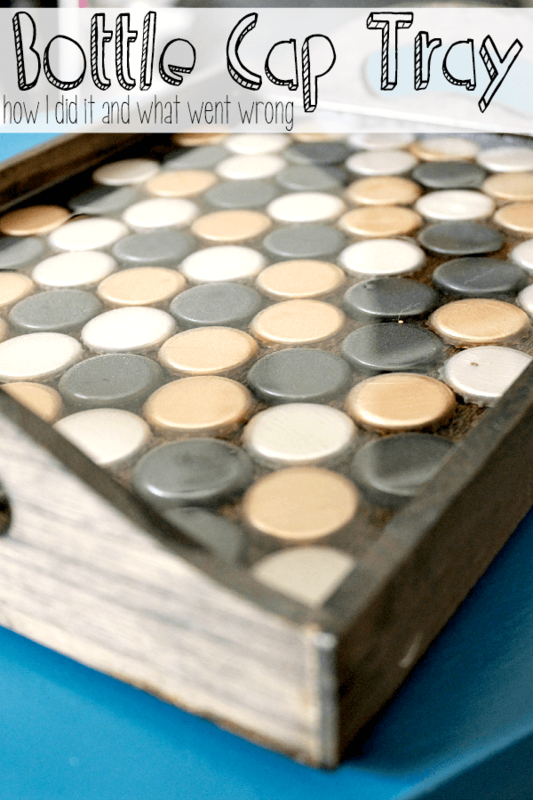 I chose the gray hexagons because I didn’t want to over-do the strips, but I wanted another neutral pattern. This one tied it all together really well. Yeah, you might have noticed the U.S. map puckers a little. That’s because I put the glue on the paper, and not on the state. Put it on the back of the state. And remember to spread it out into a thin layer. 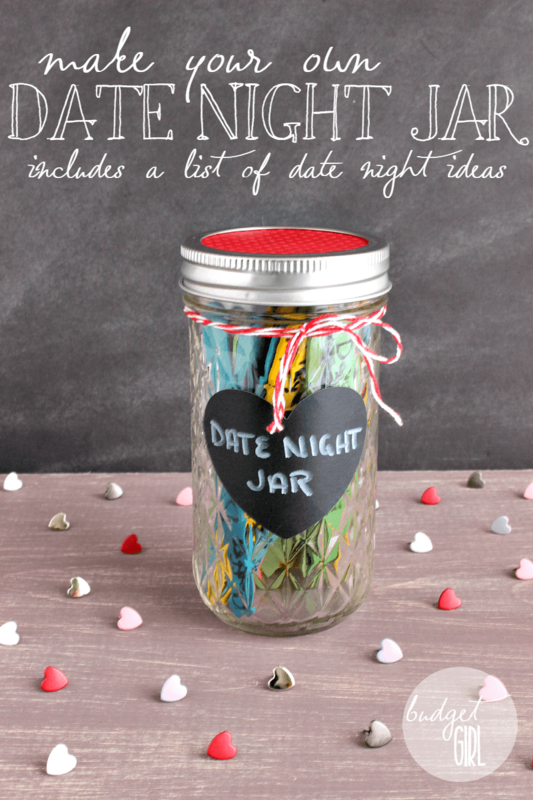 Or you could just use double-sided tape. Way easier, definitely less messy. 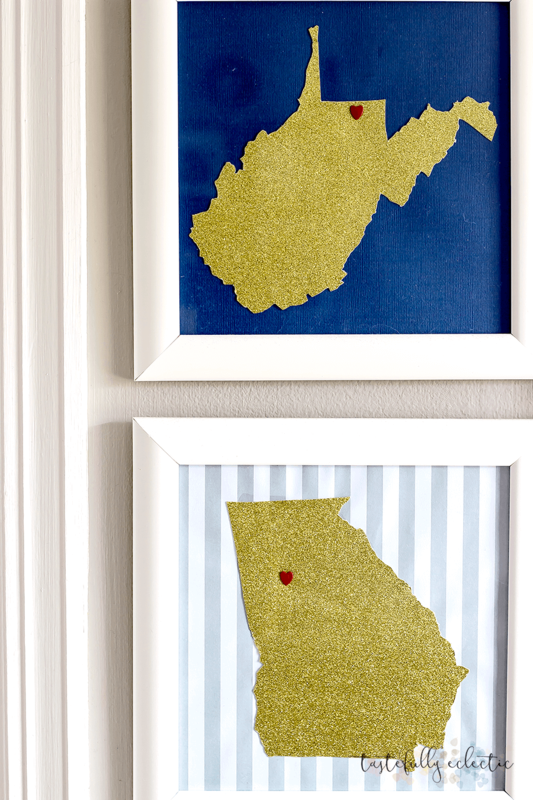 What states would be up on your wall? Let me know in the comments!